I was born in a small, rural town in upstate NY. Discipline and hard work were instilled in me from a very young age. As a young girl, I started working on my father’s dairy farm. I also inherited the entrepreneurial spirit from my grandfather on my mother's side. His father immigrated from Italy. He started off sewing gloves in his garage and ultimately turned it into a successful small business. Teaching has been a thread throughout my life. In kindergarten I knew that I wanted to be a teacher. I also loved school and loved learning. I started my career as a 4th-Grade teacher. And I taught at that level for several years. I was then offered the opportunity to become the instructional coach at our school. The trajectory of my life was never the same after this. Although I adored working with children (and still do today), I developed a passion for working with teachers and supporting them with their instruction any way that I could. Since then, I have worked as an educational consultant and have the opportunity to work teachers around the country. My years as a coach and an educational consultant have given me so much experience with working with adults. My passion for (and ability to) mentor, consult and inspire teachers as deepened greatly over the years. In my exploration and research of how to heal from fibromyalgia, I discovered that I could heal myself from the inside out. You can read my full journey here. It was through this experience I realized that I wanted to help other people (connect with them, understand them, and help them heal and grow.) That’s where I have focused my energy and studies for the past several years. And, I’ve become pretty good at it. 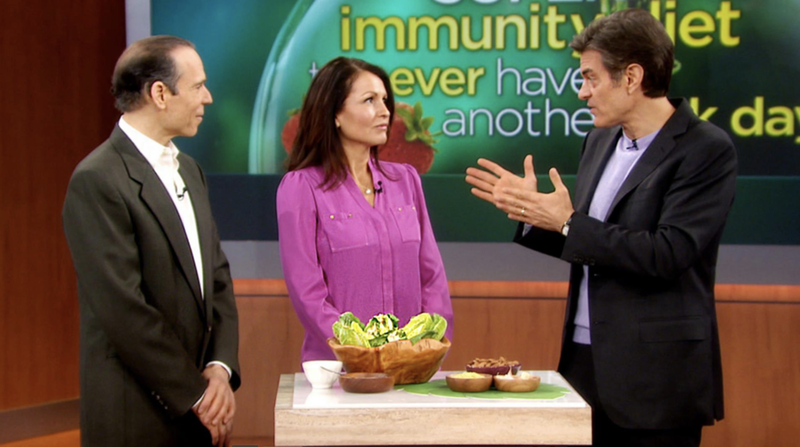 I even had the opportunity to share my results on the Dr. Oz Show. Now, after many years of experience helping clients step into their power and heal from within, my clients are empowered to regain control of their life and have the ability to make a significant difference in the world. I know that when a woman feels out of balance within their mind, body, and spirit, she can feel hopeless and incapable of living the life she desires. I am particularly well suited to help them cultivate the Healer within them. They often live in their heads, worry about the future, and are lacking harmony between their Higher Self and Inner Self, which is intimately connected to their joy and peace. I work with them to deeply heal on all levels and regain the relationship with their inner child so they can live a happy, healthy, and peaceful life. I use a unique approach that integrates my skills as a life coach with energy balancing techniques, such as Reiki, chakra healing, and essential oils. It brings me great pleasure to work with women in large groups, small groups, and in individual sessions, to help them really heal and to make their dream life a reality. This is a coming together of my passion for teaching, coaching, Reiki, essential oils and my desire to contribute in a way that leaves the world a better place. I was born on Christmas day (and it was a full moon), which is why I probably have always been affected by the phases of the moon. When I was 25 I had surgery to remove two grapefruit sized cysts from ovaries. (Thank goodness they were benign). Shortly after, I was diagnosed with fibromyalgia and spent several years “living” with the painful symptoms and took numerous prescription drugs to get through each day. I’m a total crystal geek and believe this is one of many tools that can help bring your chakras into harmony. I love using essential oils for emotional, mental, physical & spiritual wellbeing (I have a diffuser in nearly every room of our house). I am a Usui and Lightarian Reiki teacher. This changed my life completely. I have invested in my own business coaches. This work has changed the course of my life and gave me, not only the skill-set, but also the confidence I needed to run my own business. I never realized how desperately my inner child wanted (and needed) to reconnect with me so we could REALLY heal and fulfill our life’s purpose! I met the love of my life, Ron, a couple of years ago and we married in Sept. 2017. I truly believe that women are incredible and I am constantly amazed by their courage, strength and beauty. I feel so grateful that I get to devote my days to empowering them and watching them shine. I am a lucky woman. My desire and passion for helping others heal themselves has been inspired and encouraged by my own journey towards a happier, more harmonious life filled with peace, calm and clarity. Read about my journey to discover how I learned to let go and truly heal myself. Andrea is a down-to-earth spiritual teacher and guide. She is a compassionate Reiki master teacher, transformational coach, author, and aromatherapy specialist. 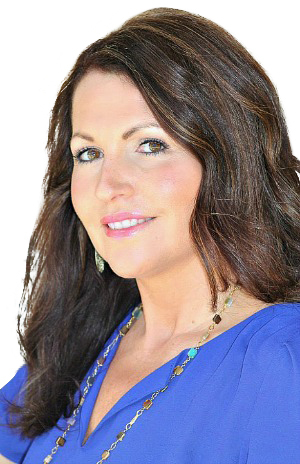 Her innate ability to connect with clients and help them find better health, happiness and harmony, sets her apart in the field of energy healing. Her passion is to help others heal from the inside out and discover their own healing potential. Andrea believes that everyone has a healer within them, and is determined to help others activate their self-healing abilities! Andrea holds a Master’s degree in education; is a National Board certified teacher, Reiki master teacher (RMT), and certified transformational coach. Her areas of study include: energy healing, aromatherapy with therapeutic essential oils, and chakra balancing. She provides sessions in person in RI and virtually, all around the world. Andrea offers classes, individual sessions, on-line courses, and facilitates The Healer Within Academy. Her healing methods include Reiki, (including the higher, more ethereal vibration of Lightarian Reiki), essential oil therapy, and transformational life coaching. She credits the 5 Reiki principles for bringing about significant healing and transformation in her life. As a result, she shares practical ways that women can integrate them into their lives to bring about health, happiness and inner peace. She provides useful insights and tips about all of these topics on her blog. You can read more about her incredible healing journey here. I'm contacting you because... * I'm a member and I have a question I'm thinking about joining, but I have a question I'd like to collaborate I'd like to submit a guest post I want to give you a testimonial!